The AED Card is ideal for shopping enthusiasts and frequent travelers to the land of luxury and skyscrapers; the United Arab Emirates (UAE). The platinum credit card is in UAE Dirham (AED), and it offers exclusive benefits from access to airport lounges to earning rewards on everyday expenses, to make your travel an amazing experience. The AED Card also allows you to avoid additional charges incurred from currency conversion, since all your purchases and cash withdrawals, made with the card in AED, will be charged to the card account in the same currency. Travel Insurance: When you pay for your travel ticket from Lebanon with the card, you will automatically receive free-of-charge travel insurance for up to 60 days, within your destination country, which covers the following: Delayed flights and lost, stolen, damaged or delayed baggage, up to 800 USD Transportation or medical repatriation in the event of illness or accident, up to 50,000 USD Medical fees due to injury or unexpected illness, up to 50,000 USD Legal assistance expenses abroad in proceedings derived from traffic accidents, up to 5,000 USD Transportation of the insured person's deceased body to the home country Death and permanent total disability due to accident, up to 100,000 USD for adults and 5,000 USD for dependent children. BBAC also offers personal accident insurance issued by The Capital Insurance and Reinsurance Co. (member of BBAC), with worldwide coverage against accidental death and permanent total disability, up to 20,000 USD. Priority Pass: The card entitles you to a free-of-charge Priority Pass* membership that gives you privileged access to over 1,200 airport VIP lounges worldwide to enjoy the first-class service, regardless of the airline you fly or the ticket you hold. LoungeKey: The card facilitates relaxed and stress-free travel with the LoungeKey* program that grants you access to 25 airport VIP lounges worldwide, with 6 complimentary visits for yourself each calendar year, regardless of the airline you fly or the ticket you hold. My Rewards: With MyRewards* loyalty program, you simply collect points automatically every time you use the card for purchases at any point of sale, in Lebanon and abroad, and redeem them online for a variety of rewards that suit your needs and lifestyle. Supplementary Card: You can request an additional card for your family members or friends, who are over 18 years old, so they can benefit from the same card advantages. E-Services: You can use the Online & Mobile Banking services to track your card's account activities and settle your card payments round-the-clock. 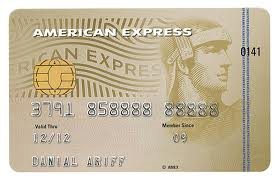 Purchasing Power: You can use the card for your everyday purchases and other expenditures with ease and comfort. Practicality: You can use the card round-the-clock, seven days a week, in the UAE and worldwide to make purchases at millions of merchant locations, and to withdraw cash from any ATM machine displaying the Visa logo. Payment Flexibility: You can settle the total outstanding balance either in one full monthly payment with no interest charged or by monthly installments of 5% being no less than 185 AED, with a grace period of up to 45 days without interest. Security: BBAC is keen on safeguarding your card against theft, fraud and misuse by providing the card with a smart chip and setting daily limits for cash withdrawals at ATM machines, as well as sending SMS alerts to your mobile phone every time you use the card at any point of sale or at any ATM machine, in addition to other card details. Visa Paywave: Visa Paywave is a contactless payment method that offers a fast and secure way to pay for small everyday purchases without having to insert your card or enter a PIN*. Just wave your card over a contactless point-of-sale (POS) terminal to pay and go.